We had a fantastic Grand Opening today in Pensacola. Nadine did paint demos this morning and this afternoon to anxiously awaiting groups. 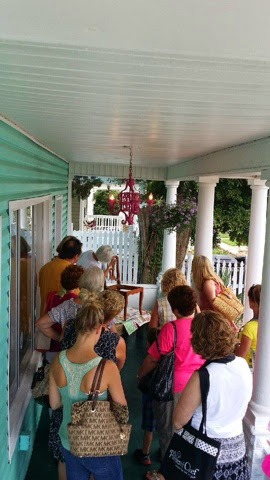 They eagerly soaked up a lot of information on the ease of using Chalk Paint®, a decorative paint by Annie Sloan. We had a great time helping customers pick out paint colors for their awaiting projects and are excited at the prospect of the results. Our Grand Opening Event is HERE! 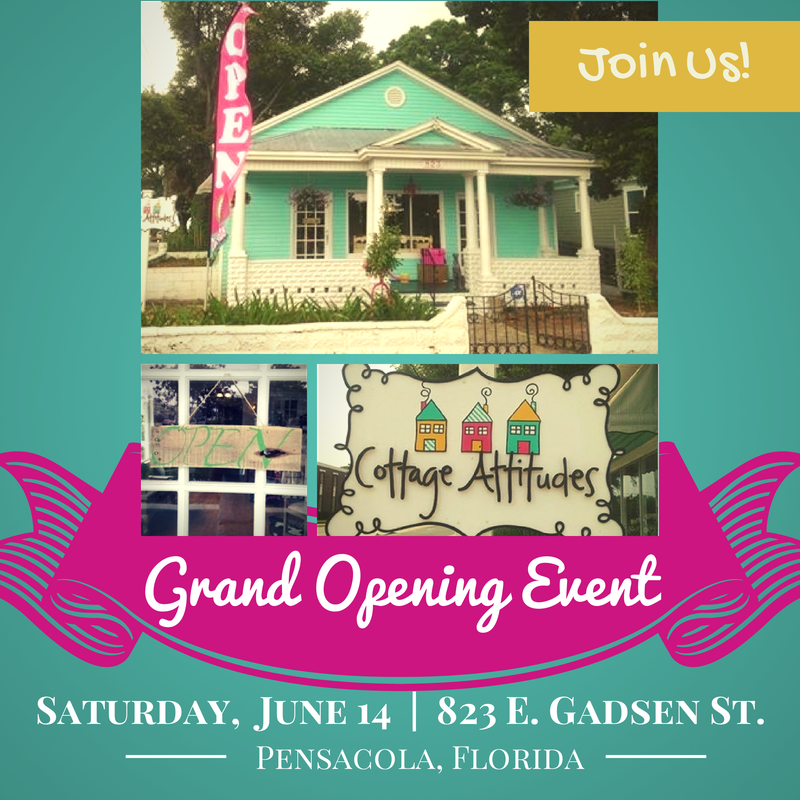 Please join us this Saturday, June 14 to celebrate our new Pensacola location. We'll be hosting drawings, doorprizes, free Chalk Paint® Demos and more. We can't wait to see you in the new store! 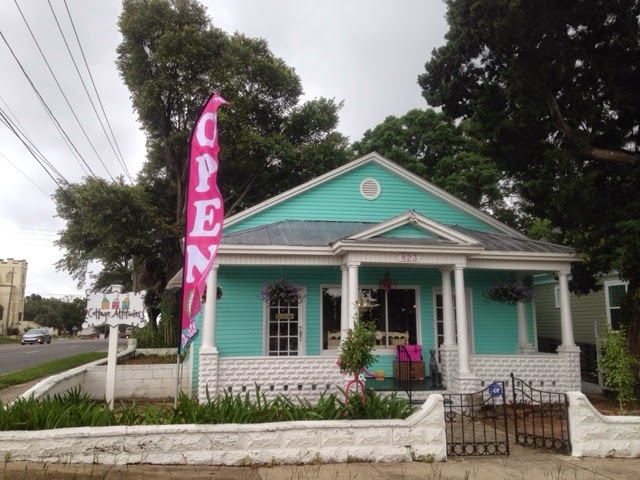 We are so excited to announce that the newest location in Pensacola is now open. 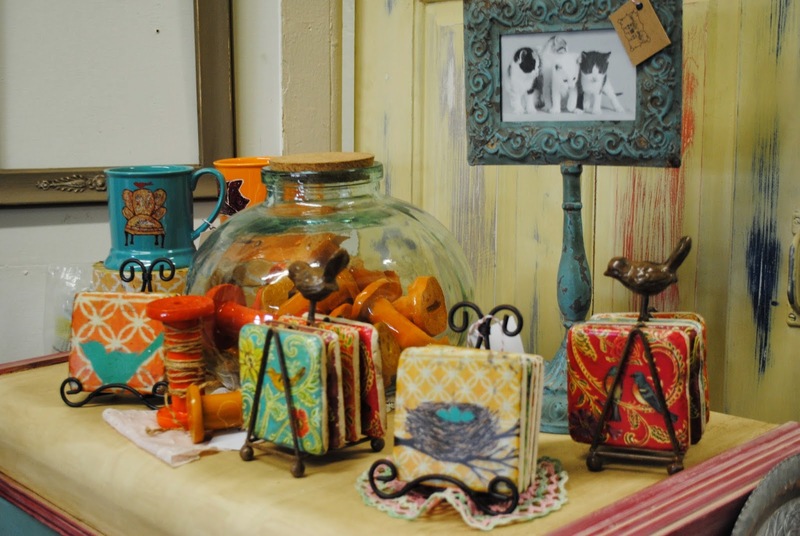 All of Annie Sloan's products are available. Between May 20 - July 15, 2014, we're giving away one of our free luxury candles with the purchase of $75 or more in apparel. * We have a really fun, trendy and comfy inventory of apparel to browse! Check out a few of our items online: Cottage Attitudes Apparel. Then, visit us in-store to see our full inventory: Get Directions. This special offer is only available to our awesome Facebook Friends. So, if you haven't liked us yet...please do!! We'll be posting creative project ideas, DIY inspiration, Chalk Paint® tips and tricks, special offers and more. Whether you're a new friend to us on Facebook or an old pal, just the click the button below to join the fun (and the savings)! *Terms and conditions apply. Cannot be combined with other offers. Only available in-store. Minimum purchase of $75 subtotal required. Offer ends July 15, 2014. Management reserves all rights. various sized spools. All of these are so stinkin' cute and make wonderful gifts.